KINO ASYL [Cinema Asylum] is a festival showing films from the home countries of the refugees living in Munich. The festival will be planned by the refugees, with support from professionals and has the potential to become an inherent part of Munich’s festival scene. Every day, youth from around the world are arriving at Munich central station. Often they don’t have any luggage, but what they do bring with them into German everyday life is a piece of their culture. Every country has its own broadcasting industry and tradition – and we’re all moulded in some way by the series and films of our cultural background. Who could imagine a Saturday evening without “Wetten dass?”, a Sunday without “Tatort”, or the contemporary German film landscape without Fatih Akins “Gegen die Wand”? And yet we know nothing about the cultural broadcasting treasures of the young asylum seekers’ home countries. Getting a taste of some of these and having the opportunity to show them in Germany is a huge benefit. This is the goal of KINO ASYL. The concept is that the young refugees are actively involved in all levels of the festival. KINO ASYL is organized and realized by the refugees, with support by professionals and through skill building workshops. 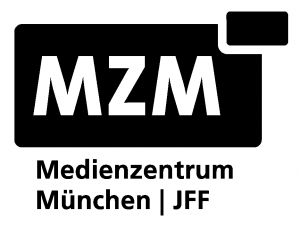 The participating youth will design and manage all the press and marketing for the festival (posters, flyers, programs etc), the production of trailers for the chosen films, curation of the films to finalize the festival program, presentation of the movies, and, if necessary, the German subtitling. A potential framework program or music and/or food will also be planned by the refugees. The festival will provide audiences with the unique opportunity of a deeply personal glimpse into cultural landscapes that would otherwise be completely inaccessible. The participating youth will learn to actively engage in, form, and enrich the unfamiliar culture of which they are now part. Through the practical exercises of producing the festival they will gain competence in a range of media-related skills, as well as receiving a platform from which to share their own culture and stories. Working on film translations and public presentations within the scope of the festival builds confidence and supports language acquisition.